← FTISLAND to hold Anniversary Concert in Singapore next March! It is easy to differentiate a performer and an entertainer. To me, a performer knows how to work the crowd and ensure that the audience is in sync with him. An entertainer on the other hand, entertains for the sake of entertaining and ensure that he has done his part. 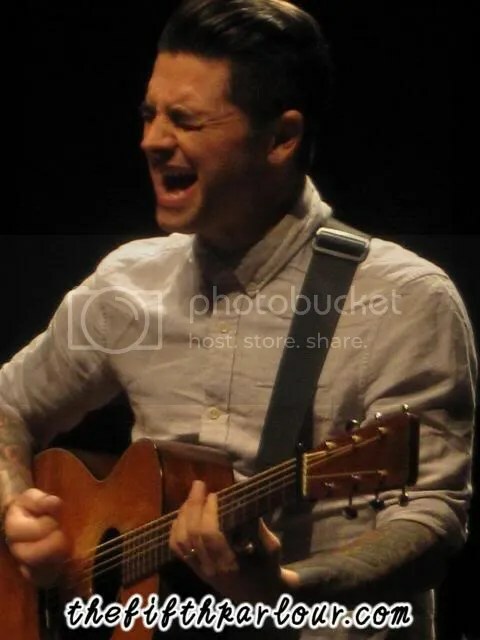 Chris Carrabba falls into the performer category of course. This is not the first time Chris is in Singapore. 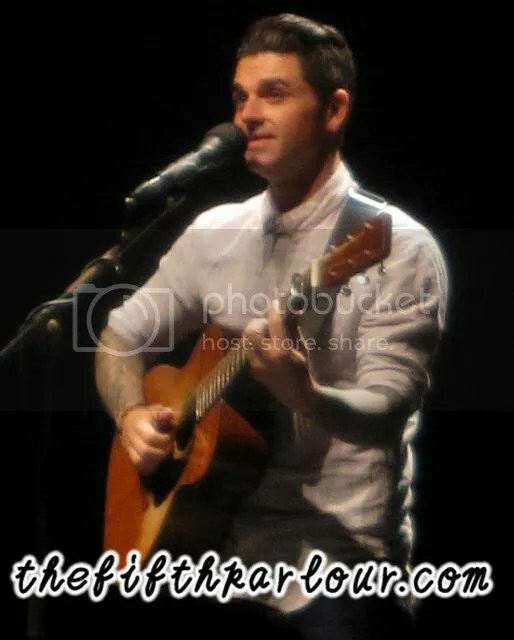 He was here two years ago with his band, Dashboard Confessional. Performing to an intimate audience at Shine Auditorium on Wednesday, Chris elevate the crowd’s energy by inviting them to stand near the stage area instead of seating. That was a great move by Chris as it got the crowd’s cheering and Chris seems to be more energetic. Chris never fails to make the audience laugh by talking and joking with them when he was tuning his guitar. It happened quite a number of times during the set but he managed to use this chance to interact with the fans. During the interaction, Chris shared that he has been working with Twin Forks another band aside from Dashboard Confessional and their album will be out in January. The show lasted for 1.5 hours and Chris sang more than 20 songs. Bet those who were not present at the gig are regretting now. Chris sang a mix of Dashboard Confessional songs, Twin Folks and a cover of Taylor Swift’s Mean. Chris ended the show with a bang. 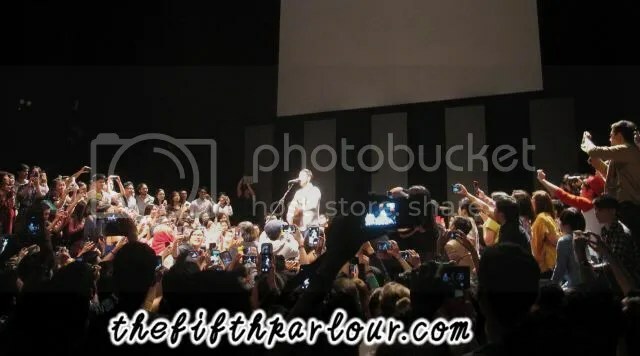 He was worried that fans at the back would feel left out that he suggested those who were standing in front of the stage to get up and seat around just so that the ones who were seated behind can come closer. That really made my heart dropped in a good way because I cannot believe he did that. Just like I said earlier, he is a true performer which is hard to find nowadays when usually people crave for fame and only care for profits. 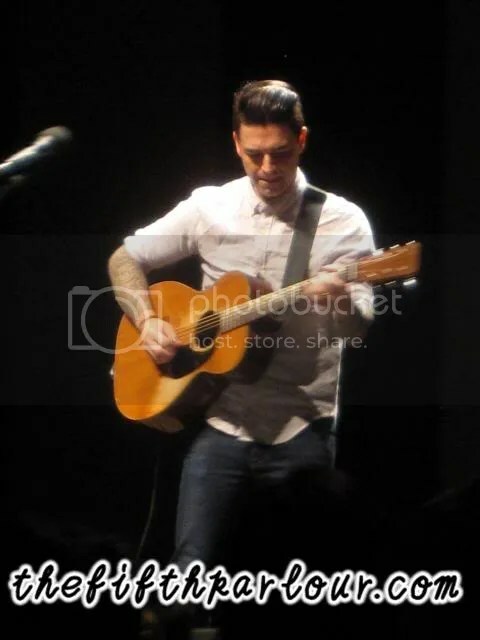 Thank you Sprout Entertainment for inviting The Fifth Parlour to Chris Carrabba’s showcase! We really enjoyed ourselves!